Picture a thriving city, with complex architecture — gardens, buildings, roads, gullys, plenty of nooks and crannies buzzing with life. The oceans have cities too. Not Atlantis, per se, but corals. Coral reefs are the cities of the marine ecosystem, built by animals that have a soft body covered by a tough, hard exoskeleton. The Great Barrier Reef is the single largest system of corals in the world. It has been in plenty of hot water in recent years for the massive amount of corals being damaged to 'coral bleaching'. Corals are an intersection of many different marine communities, but these animals themselves rely on algae to survive. Algae live inside their tissue, sharing a symbiotic relationship with corals. When corals undergo bleaching, warming ocean waters kill the algae in reefs. 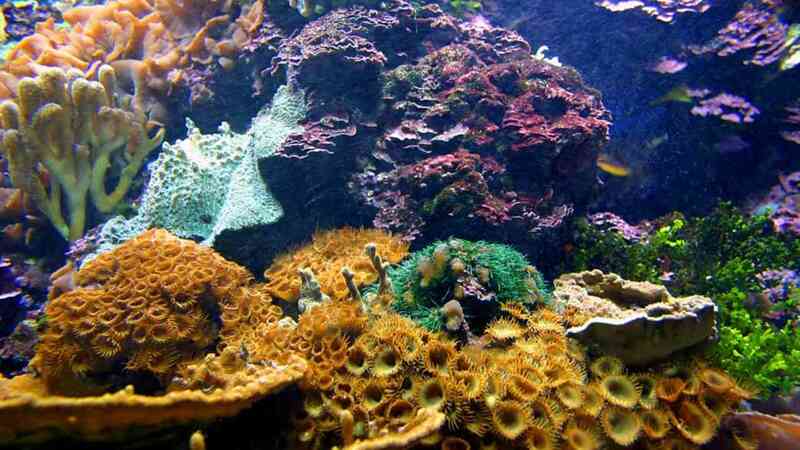 This effectively cuts corals off from 90 percent of their energy supply which the algae provide, turning them white. 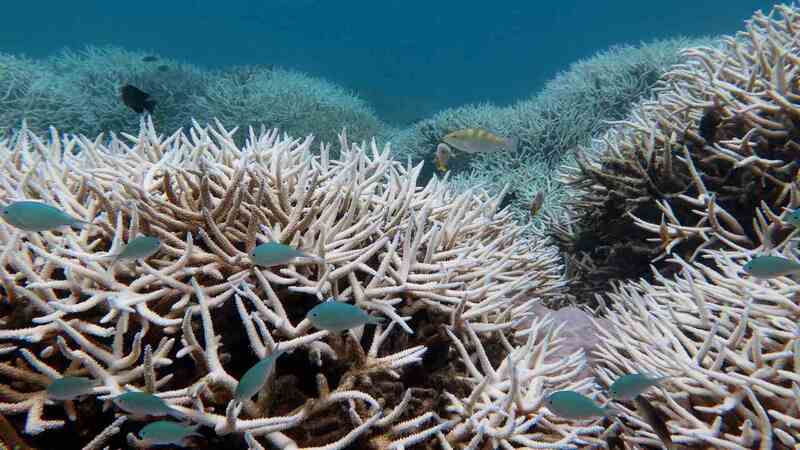 While the corals aren't "dead" when they undergo bleaching, it does enough harm that some of the reef architecture can never be replenished or recovered as it was earlier. In a study published Wednesday, researchers have shown that baby corals moving into a once-bleached coral reef has dropped — by 89 percent — compared to the past. Even if these new corals did come in to replace older, bleached or dying ones, the reef won't resemble the table-shaped or branched structure that gives it a "city-like" architecture. Coral structures grow like forests and give marine animals plenty of places to hide and seek. These are altered permanently by bleaching episodes, making lasting changes to the reef's biodiversity, the study continues. "You can think of it as the number of people you can fit in the suburbs, versus the number of people who could live in [highrises]," Carly Kenkel, an evolutionary ecologist from the University of Southern California, not involved in this study, told PBS. Some species of corals appear to have successfully adapted to warmer ocean temperatures. The most quickly-growing corals need 10 years to recover and regrow after a disaster — and that's factoring in baby corals and leaving out interruptions from yet another bleaching incident. "We’ve had two summers now with no bleaching following two summers with extreme bleaching," Terry Hughes, lead author of the study and director of the ARC Centre of Excellence for Coral Reef Studies in Australia, told PBS. "But we need ten of them in a row, and the chances of that happening are pretty slim." Hughes says that the fix to this problem is cutting man-made carbon emissions to keep oceans from heating any further. More efforts in recent years have been made by researchers to understand corals and solutions for bleaching better. Curbing global emissions, though, is easier said than done. For now, the most complex marine ecosystems on Earth may have to wait in line with the sea of other reasons for carbon emissions to be limited. The study's findings were published in Nature.